Once, there lived a spy called Sportacus. He was skinny,astute and energetic. Sportacus had a mission to stop a villain called Rottenish from extincting Christmas. He was the opposite of Sportacus. The next day, Sportacus blotched Rottenish’s white time machine that runs on battery. He went inside sceptically and he saw but by the time he came to the time machine, Rottenish teleported himself and Sportacus to the first Christmas Night. After that, Rottenish was the first one out of the time machine so he ran as fast as he could so that Sportacus couldn’t catch him. Next, he tried to kill Mary and Joseph so that Mary couldn’t born Jesus but God shook lightning and fire on him then he fell to the ground. Finally, Sportacus found Rottenish then he hurried back to the time machine and he teleported himself and Rottenish to the future. After that, Sportacus arrested Rottenish and he was never seen again. Then, Sportacus had a lovely sandwich to celebrate his victory over the mission. I hope there won’t be another villain! Hi Fortune I think your story is brilliant because it’s a very hype story and I find it great!Keep up the good work! I enjoyed reading your story as always. Well done! I’m glad Sportacus was successful because I love Christmas. Another well-written story! 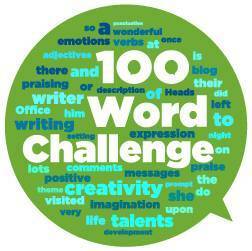 Your challenge now is to try and write your story in 100 words. I enjoyed reading your story, I think that you made very imaginative use of the prompt words. I hope there won’t be another bad guy like Rottenish around in the future. Keep up the good work!